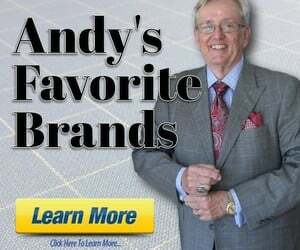 Discussion in 'Andy's Fashion Forum' started by Rodrigo, Sep 12, 2012. Hello guys, this is my first time here. I bought recently a Brioni sport blazer and it's really STUNNING, I can tell for sure that it's MUCH better than BB, Armani, Gucci, Zegna etc. When I wear it I feel like if I were a billionaire LOL. I heard that Kiton is even better than Brioni. I always buy by internet so I can't try it before. So i would like to ask you if you try a Kiton and a Brioni before and what do you think. Kiton is really much better than Brioni? Is it worth? Thank you very much. I know there's a lot more Brioni counterfeits than Kiton ones. Probably because Brioni is a PPR brand. Pinault-Printemps-Redoute. A French luxury products conglomerate that owns Brioni. They also own Gucci, YSL, Girard-Perregaux, Alexander McQueen, Sergio Rossi and Puma. I'm in China, and if it's a brand of PPR I see many counterfeits. Same with LVMH, another French lux conglomerate that owns Louis Vuitton, Dior, Givenchy, Bulgari, etc. Given the prices of Kiton and Brioni RTW, any kind of issue of value for money goes out of the window. They are made for people with plenty of money and not the inclination, time or knowledge to have their clothes made bespoke. You are right that the result is considerably superior to Zegna...and light-years ahead of BB, but with a price to match. As MikeDT is hinting, you should be careful buying products such as this on the internet, particularly if you are buying 'new' or anything approaching full-price garments. There are lots of dodgy dealers and fakes. On the other hand, if you don't mind wearing someone's old clothes, I am sure there are lots of sensational bargains out there too. Brioni and Kiton have great fabrics. But so does Zegna (manufactures their own fabrics) as well as Oxxford. I think one of the advantages of Brioni and Kiton and Oxxford for all that matters is the construction where there should be more hand made portions of the coat. Kiton in particular is known for the shoulder where the sleeve is constructed by hand leading to the "waterfall" draping. Consider the style too - the Kiton has a softer shoulder, the Brioni more of a Roman shoulder. Also, Kiton appears to prefer a 3/2 roll lapel, and on many of their jackets they like patch pockets. So for me, it appears there are quite a few differences - fabric probably being the least distinguishing factor. What about Cesare Attolini? Is among the best like Brioni and Kiton? I've always wondered... Is it pronounced 'kit on' or 'kie ton' or 'kit own'? 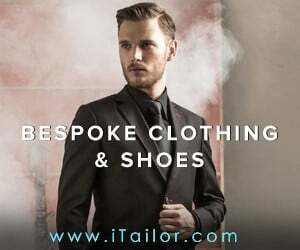 They are made for people with plenty of money and not the inclination, time or knowledge to have their clothes made bespoke.